Many of snooker’s great names have lifted the famous trophy at the Crucible, including Steve Davis, Stephen Hendry, Ronnie O’Sullivan and the reigning champion Mark Selby. 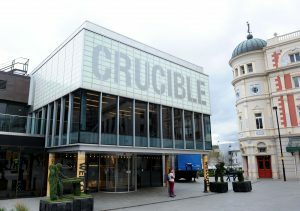 Barry Hearn – Chairman of World Snooker said: “Snooker fans and players alike will be thrilled to hear this news as Sheffield and the Crucible are such an integral part of the history of the World Championship. Many thousands of people make snooker’s greatest pilgrimage each year to witness the intense and magical ambience that the Crucible generates.